These luxury slope-side townhomes marry distinguished design and outdoor connected living with stunning views of the slopes, mountain, and the valley. The experts at Bensonwood have designed these townhomes in a stacked blueprint design with covered parking, ensuring minimal impact to the land. Paired with elegant and timeless interiors by Anamika Design, effortless mountain living is at your fingertips. 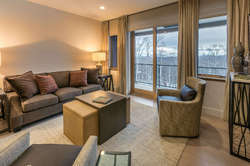 We currently have a limited number of fully furnished townhomes available for immediate occupancy or to tour. This includes one 4-bedroom, 3-bedroom, and 2-bedroom unit. Contact SouthFace Village or our exclusive agency partner, Mary W. Davis Realtor & Associates it you have any questions, need more information, or would like to visit our model home. You can also search SouthFace Village mountain chalets, single-family homes, and building lots. From the moment you cross the threshold, you begin to relax and take in the beautiful slope-side views. 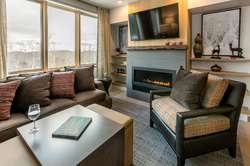 Crafted by Bensonwood for exceptional livability and enduring style, your ski in / ski out SouthFace Village® home features a professionally designed interior and comes fully furnished – from flatware to flat screen. Simply turn the key to your new four-season luxury residence and you are home. Top notch village amenities will include The Lodge at Southface Village®, with a gourmet eatery, heated pool, health club, fire pits, and more. Our 2-bedroom townhome accommodates up to 6 people comfortably. Don't miss out, contact us today for more information. For a detailed floor plan on the one remaining unit, click here Listed by SouthFace Village and our exclusive agency partner Mary W. Davis Realtor & Associates. A spacious, gracious gathering place. The only thing missing is you, your very happy family, and your friends . . . lots of them! From the moment you cross the threshold, you begin to relax and take in the wonderful slope-side views. Crafted by Bensonwood for exceptional livability and enduring style, your ski in / ski out SouthFace Village® home features a professionally designed interior and comes fully furnished – from flatware to flatscreen. Simply turn the key to your new four-season luxury residence and you are home. Top notch amenities will include The Lodge at SouthFace Village® with gourmet eatery, heated pool, health club, fire pits, and more. Our 3-bedroom plus loft townhome accommodates 12-14 people comfortably. Don't miss out, contact us today for more information. For a detailed floor plan of the one remaining unit, click here. Listed by SouthFace Village and our exclusive agency partner Mary W. Davis Realtor & Associates. Trailside living on a truly grand scale, with over 2,300 square feet of contemporary luxury. From the moment you cross the threshold, you begin to relax and take in the wonderful slope-side views. 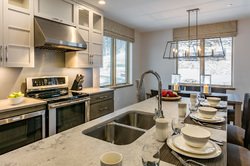 Crafted by Bensonwood for exceptional livability and enduring style, your ski in / ski out SouthFace Village® home features a professionally designed interior and comes fully furnished – from flatware to flat screen. Simply turn the key to your new four-season luxury residence and you are home. Top notch Village amenities will include The Lodge at SouthFace Village®, with gourmet eatery, heated pool, health club, fire pits, and more. Our 4-bedroom plus loft townhome accommodates up to 14 people comfortably. Don't miss out, call today for more information. For a detailed floor plan of the one remaining unit, click here Listed by SouthFace Village and our exclusive agency partner Mary W. Davis Realtor & Associates. SouthFace Village at Okemo Development Company, LLC is the Developer and Exclusive Sales Agent for SouthFace Village at Okemo®. The photographs and representations included are for informational purposes only and are subject to change or may be withdrawn by the Developer at the Developer's discretion. This is not intended to be an offer to sell nor a solicitation of offers to buy real estate in any state. 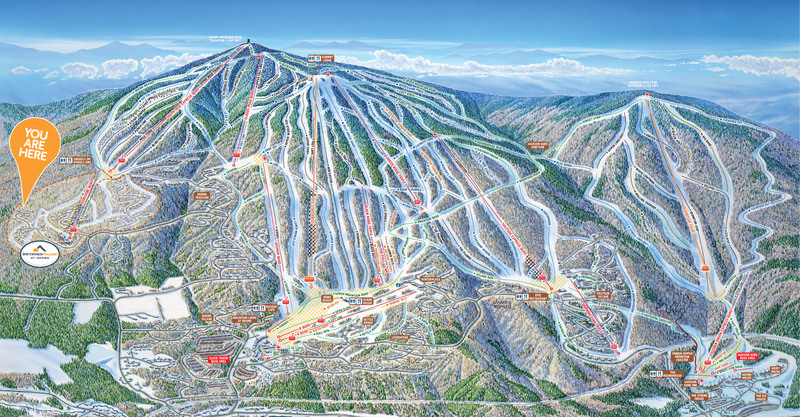 The SouthFace Village at Okemo® development is independent of Okemo Mountain Resort and its affiliated companies in all respects. 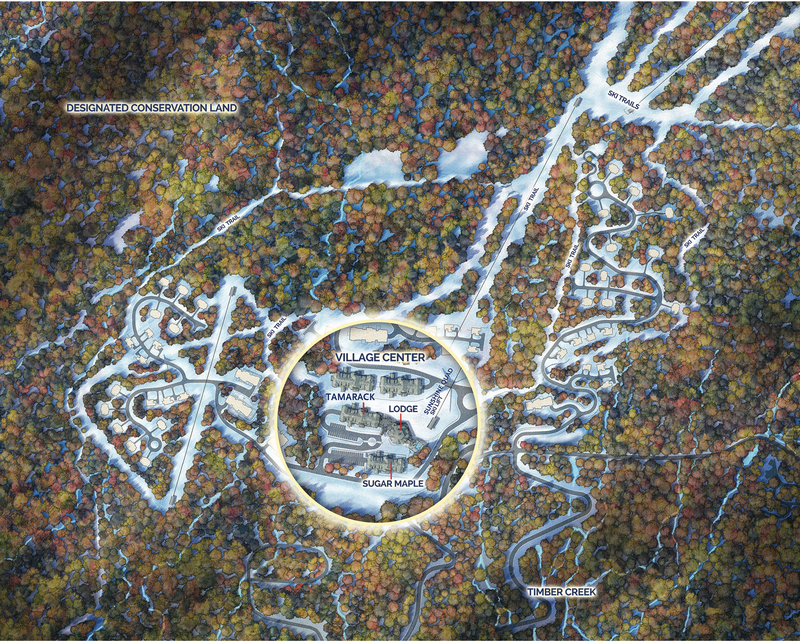 A Consolidated Public Offering Statement for SouthFace Village at Okemo® is available from the Developer. Interested in Learning More About SouthFace Village?